There are 2 options for Geo Location in the theme. 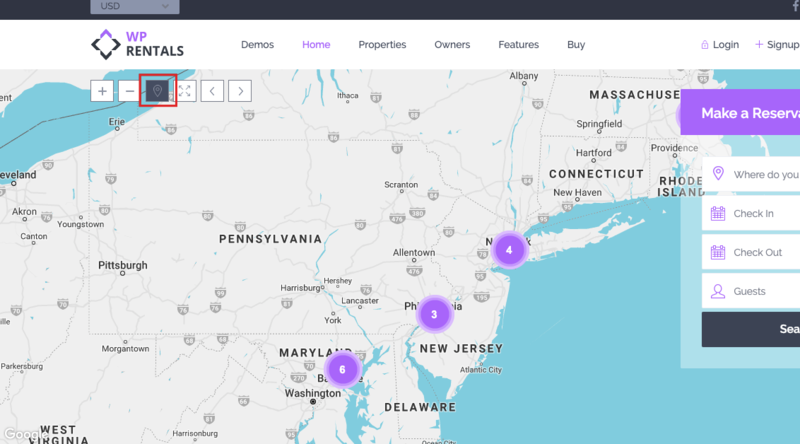 Geo Location search by typing a specific location in Half Map Location field and using the Radius slider to narrow results o a specific radius distance from location. 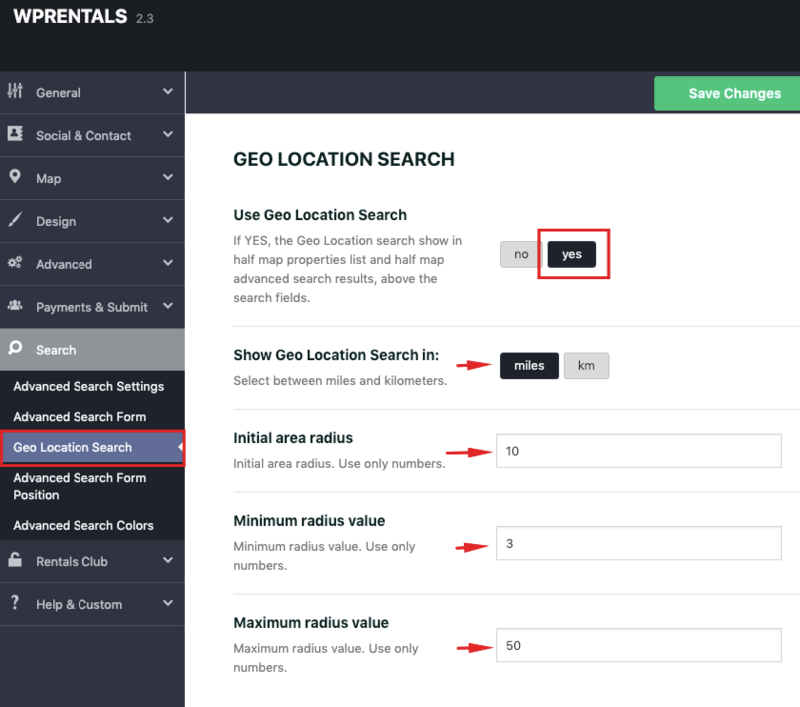 The radius search is managed from Search Settings – Geo Location Search. set the minim and maxim radius value as well as the initial radius value.